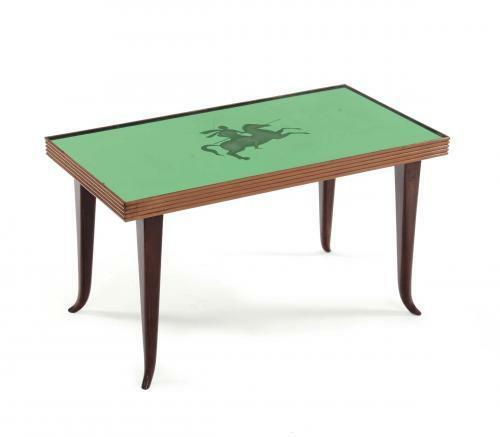 Coffee table by Luigi Brusotti, in wood with mirrored, coloured and decorated glass top. Italy, 1940's. We have the certficate of the "Italian Ministry of Fine Arts"